Not long ago I thought kale was just for decoration. Until recently I discovered that we could make lots of wonderful dishes with it. Kale can be eaten raw or cooked. Either way is delicious. The nutrient value of kale is phenomenal. 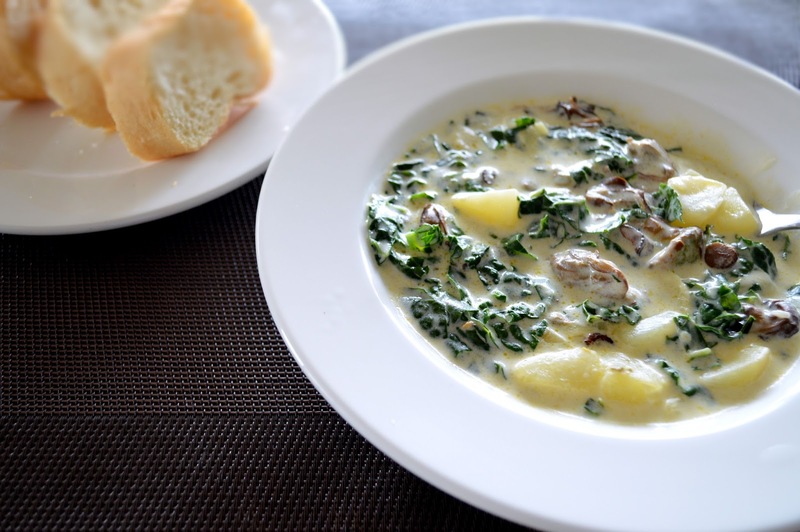 Adding smoked oysters and potatoes certainly creates this delicious chowder. In a medium saucepan, melt butter over medium heat and saute kale. Cover and simmer for a couple of minutes until tender. Sprinkle flour over kale and stir to incorporate. Add chicken broth and cream. Cook over medium heat until thickened. Finally add potato chunks and smoked oysters to the chowder and stir well. Remove from heat. Season with salt and pepper and serve.